"If it keeps Lance Armstrong's cheeks from chafing, imagine what Sportslick will do for your heels. Used by the U.S. Postal team and other elite racers, this waterproof antibacterial gel is the most effective blister prevention I've used. " "After a comparison test of 5 different skin lubricants for runners, Sportslick is the favorite"
"Our team uses Sportslick all of the time, and are always asked what we use on our feet to keep them in such good shape throughout these races." 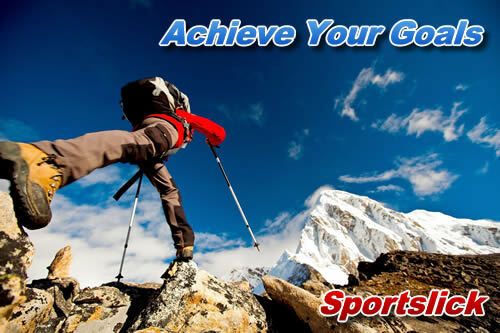 "Sportslick is the very best blister preventative made. I used to suffer from extreme blisters at Eco Challenge. I tried Sportslick for the first time in Patagonia and did not have a blister worth mentioning. I have used Sportslick in every Eco Challenge since then with the same remarkable results. I am absolutely serious that the use of Sportslick in every Eco Challenge is as important as training. I would not start the race without it." "I have used Sportslick my entire career since my first marathon swim (65 miles across Lake Michigan in 1998). Sportslick is clearly the best product on the market. Body Glide simply does not compare when it comes to protection against chafing. It clearly outperforms any other product that I have tried by a large margin. " "Last year during the Eco-Challenge, my feet were like hamburger. This year my teammates and I used Sportslick and our feet were fine, we were very impressed." "Your product is great! I have been using it over the past half dozen years and it has made my racing so much easier. One of the great things about Sportslick is the fungus fighting ingredient. Before we would have to suffer with trench or dredge foot, and Sportslick has all but eliminated that worry." "I've just come back from the Furnace Creek 508, the most prestigious 500-mile race and RAAM (Race Across America) qualifier. This race has over 35,000 feet of elevation gain and runs through some of the California's harshest deserts like Death Valley. The reason I am writing this is to thank your company for the superior product it makes. I have a choice as to what I use and chose Sportslick because it works well. These roads are known to be rather rough and one of my competitors even quit because his feet were bleeding. Our rears don't normally fair much better. I rode the entire course with Sportslick and did not have one saddlesore. A day later, noticing my rear was sore, I looked in the mirror saw that it was black and blue but the skin was fine. I have also had great luck in my thousands of training miles and other races. Thank you again." "Just returned from Patagonia, and am feeling so good about being back in the racing circuit. We did not finish as high up as I would have liked, but we finished nonetheless. Sportslick was the BEST thing we had with us. My one teammate always, always has foot problems, blisters, trench foot etc. This was the first time he came through with no problems, and it is ONLY because of the Sportslick! We traveled for quite some time with a team from Finland, during the race. I got them turned onto Sportslick, and now they are very keen to continue using the product. You make racing so easy for us, and I want to thank you again for providing us with such a first class product, which enables us to perform without having to worry about, what is considered to be the most critical physical disability! Thank you and lots of love!" "Once again you saved our race with your outstanding product!! I allowed several teams to use our tubes (with much reluctance, as I consider it my secret weapon) so we have several more convertees. It was an amazing race in a magical part of the world. I can't begin to tell you how beautiful Nepal and Tibet are. " "We like Sportslick Solid … easy to carry and reapply. It also contains SPF 20 and antibacterial ingredients to help heal wounded skin." "I used it everywhere I ever chafed and tore off on an 8 mile run, at the end Sportslick was still moist and effective"
"Sportslick cured my blister and chafing problems, what a relief and it would give me great pleasure to win more races with this product"
Wally Emory II, Fourth Place Winner of the U.S. Sprint Championship and Age Group Winner in several triathlons. "As a professional triathlete and 'chafer' I would not go to the starting line without my Sportslick"
"Also, I tried out our other sponsored product, Sportslick at Treasure Island. Worked like a charm! No blisters at all! (for the first time!) Love it! Lisa and I used it as well! I didn't get any burns around my neck or have any "rough" patches when I have before. This stuff stays on but I love that you can't "feel" it. Love this stuff! Forget the Glide . . . Really good stuff. Again, thank you for your sponsorship"
Laura Lowe, Winner of 95 Vineman Triathlon/95-96 Maui Triathlon Chris Eschbach, Ric and Sara Rosencranz, and Wally Emory II, winners of several triathlons. Chris became a pro triathlete in 1999.